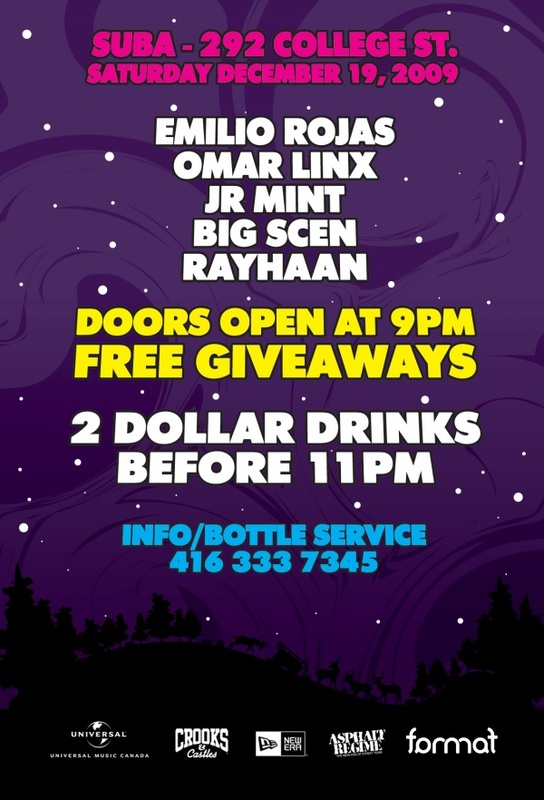 If you’re still trying to sort your plans for this weekend out, head on over to SUBA in Toronto for Crash Landing 2.0! 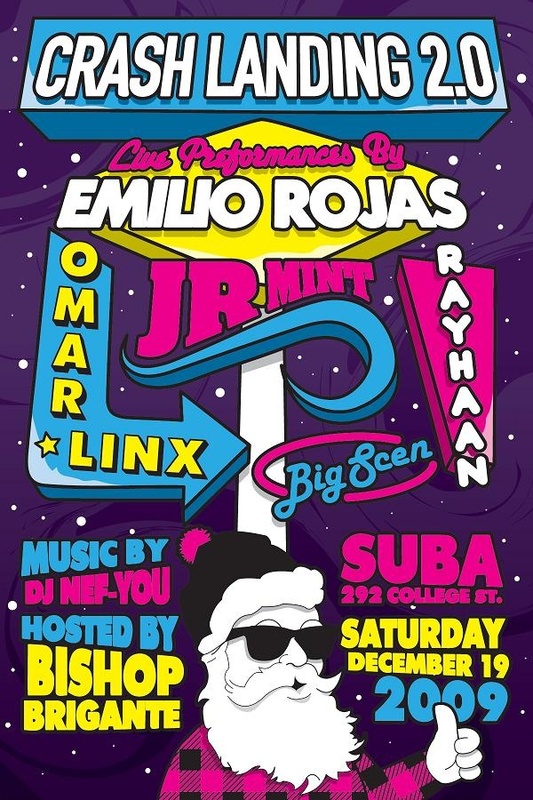 Emilio Rojas, one of New York’s hottest new MCs, is headlining the night, and going to drop some mad knowledge on anybody lucky enough to be there. He’s not going to be taking on the night alone however, as Omar LinX, JR Mint, Big Scen, and Rayhaan will also be rocking the mic that night, with beats provided by DJ Nef-You. A lineup like this doesn’t happen every day, so grab your tickets in advance – you don’t want to be left out in the cold on this one.